As a teacher, there is always "stuff" you need for your classroom. 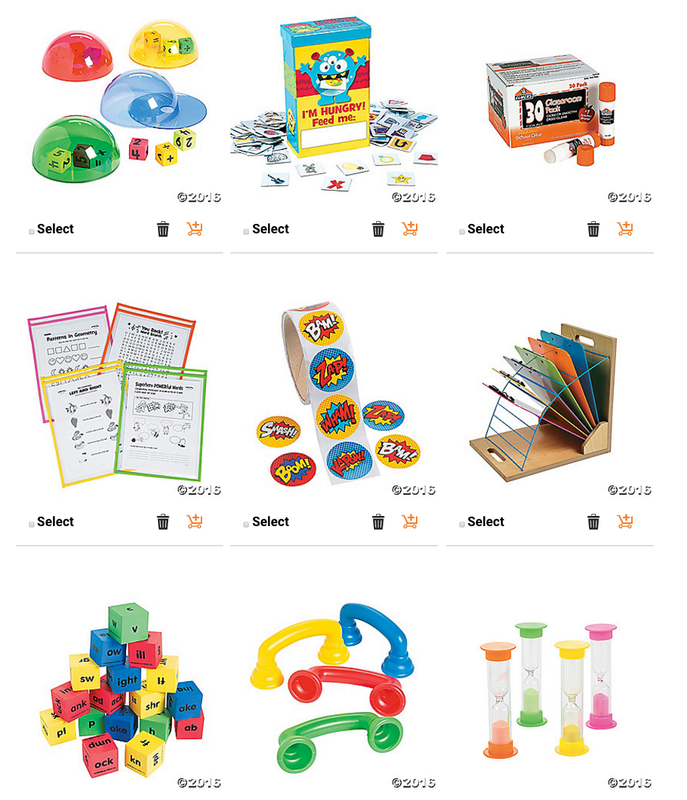 Teachers spend so much of their own money on classroom decorations, supplies, manipulatives, games, stickers, and prizes for their students. We spend our own money because we want to, but it's always nice when parents help out by donating goodies! As a parent, I like to give my boys' teachers small gifts throughout the year. I like to surprise them on a random Monday or at the end of a long week with a little treat. The problem is I never know what to give them besides a gift card or some caffeine & chocolate. Now that I'm a parent, I appreciate Teacher Wish Lists more than ever before. Traditionally, I've created a "Giving Tree" like this to ask for donations. I would set up my giving tree for Back to School night or during Parent Teacher Conferences. It's so cute but the problem is it's short lived. 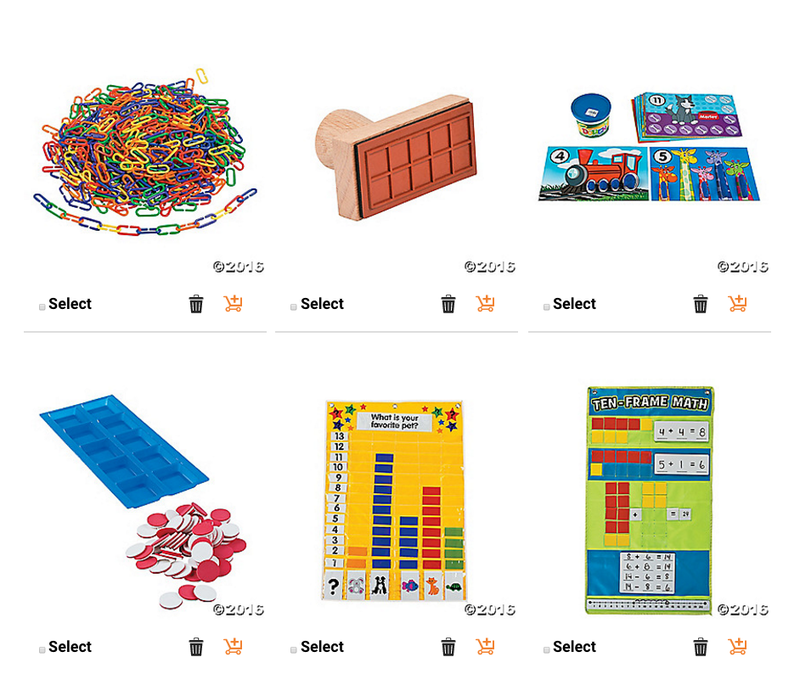 An online teacher wish list, like Oriental Trading's, is ideal because you can make updates, add items, or delete things that you end up purchasing yourself. Oriental Trading has everything teachers need: bulletin board materials, pocket charts, storage containers, bulk school supplies, treasure boxes & prizes, classroom and holiday decor, stickers, games and learning toys, math manipulatives, puzzles, puppets, art supplies, and so much more! I've been shopping with Oriental Trading for years, but I didn't realize the assortment of teacher goodies they stocked. A few of the items on my Oriental Trading Wish List. 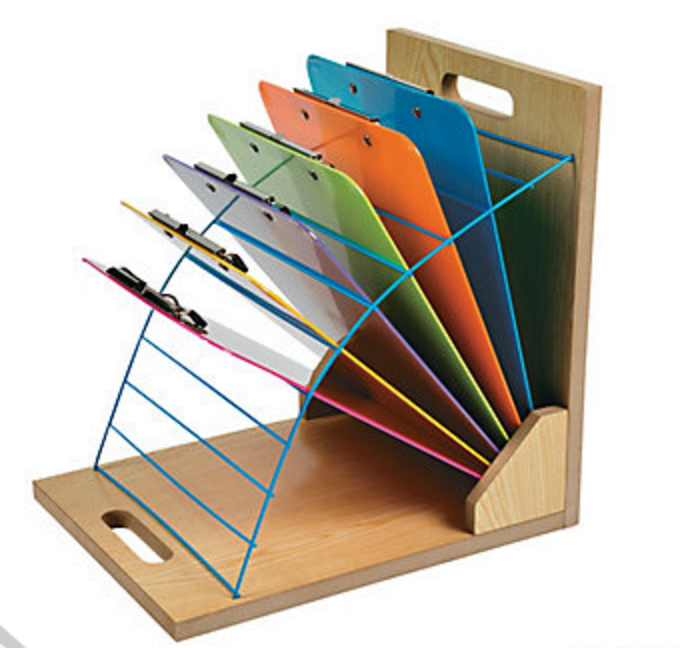 I like that I can put inexpensive items, as well as BIG TICKET items on my list. Hey, you never know! 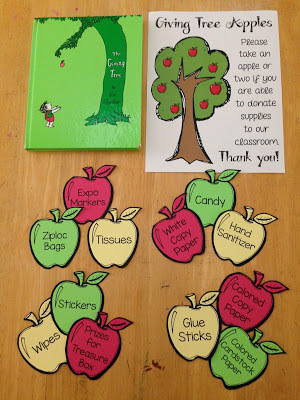 Maybe a parent will buy one of the pricier items as a Christmas or Teacher Appreciation gift. I'm loving this clipboard storage system. 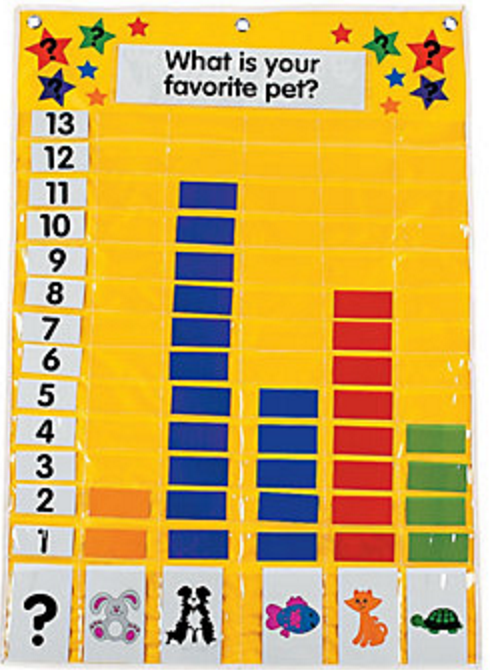 I've always wanted to do a question of the day during Calendar Time/Morning Meeting. 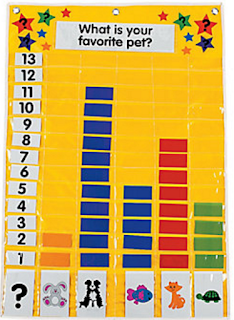 This graphing pocket chart would make it so easy, and so much math talk would go down! 1. Mention it to parents in your monthly classroom newsletter. Don't forget the link! 2. Post it on your school website or classroom blog. 3. Send home a sweet little flyer in students' take-home folder. Download this FREE editable template here. 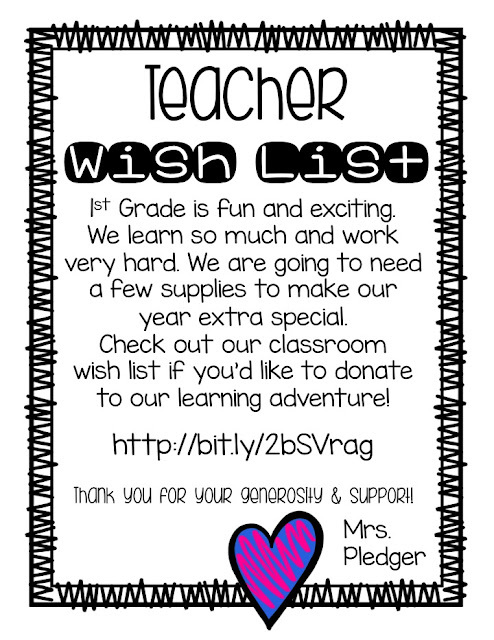 I'm so excited about my own Oriental Trading Wish List, and I can't wait to tell my kids' new teachers all about how they can create their own classroom wish lists! Disclosure: TheHappyTeacher & Oriental Trading partnered for the purpose of this post. I received free samples of Oriental Trading products, but all opinions are my own and 100% honest.